Such a fantastic book! Hugely enjoyed listening to a wonderful story narrated by the amazing and talented Karen Cass! 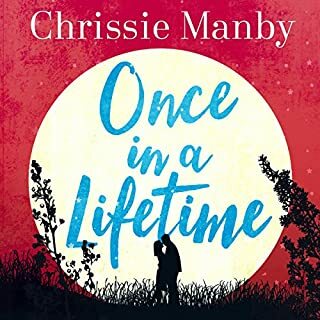 I adore Chrissie Manby and this is another superbly entertaining, hilariously funny and heart-warming story. Can’t wait for a new book by her to come out! 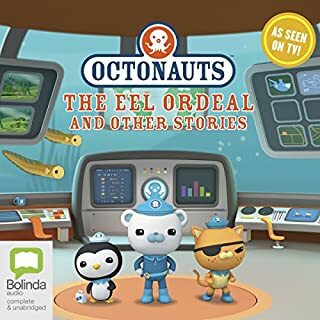 My daughter watched the series before and she loves listening to the episodes over and over. I prefer her to listen to stories as opposed to watching them, because listening encourages imagination and also doesn’t expose her to the blue lights and overly vivid colours of the tv. Massively entertaining! 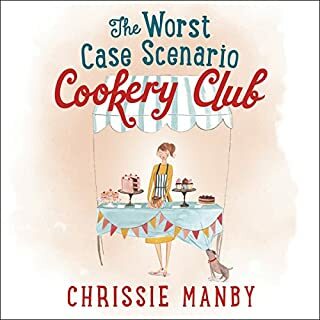 The brilliantly witty and funny Chrissie Manby never disappoints! This book had me in stitches and I laughed out loud many times while listening to it. Fantastic story and I loved ALL the characters! Karen Cass’ narration is perfect! She has a fantastic voice and performs the different characters outstandingly. I know I’ll listen to this book again! Definitely one of my all time favourites! I adore this book! 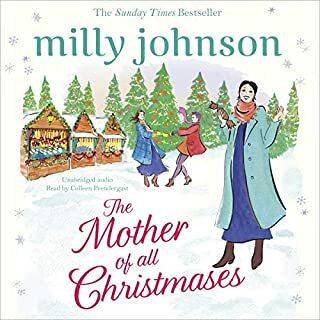 As all Milly Johnson books, it has a fantastic, captivating storyline with fabulous characters. I just love Sophie, Luke, Ells Bells, Tracy, Lena, to name a few. Such a well-written, entertaining story! It was hard to stop myself listening to the whole book in one go but I wanted to make it last at least a few days. I thoroughly enjoyed it and - again - Colleen Prendergast has done an absolutely wonderful job of the narration! Fantastic French, Yorkshire and Scouse accents! Her voice is soothing, interesting, and she narrates Milly Johnson’s books perfectly! Such a great voice artist! I highly recommend this fantastic, entertaining, relaxing book! I was really looking forward to this audiobook but I was very disappointed by it. So many forced twists to prolong the storyline, I felt frustrated reading about this bunch of perfect, unfortunate, beautiful, highly sexual people. I thought the Italian, American, Irish, Scottish and Geordie accents were terrible. Sorry, I don’t mean to offend but this is what I thought. 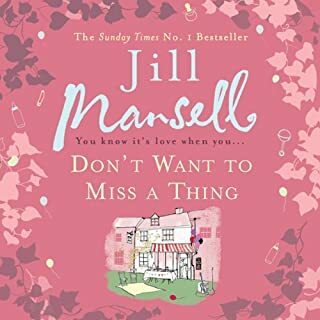 I felt disappointed because I usually love all Jill Mansell books. Excellent storyline with lots of twists, a relaxing listen. Great voice artist! 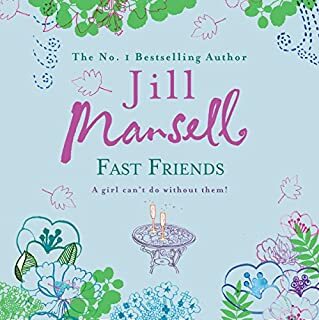 Another fantastic book from Jill Mansell, she never disappoints! 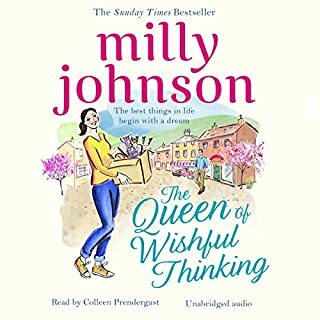 Queen of romantic chic lit, Milly Johnson produced yet another book that’ll make you forget everything, draw you in, and entertain you for hours. Fantastic characters, brought to life by the amazing voice artist, Colleen Prendergast. Her exceptional accents and voices make this fab book even more entertaining! I loved this audiobook so much, such a great storyline and this is now a firm favourite (although I love all books of this author). 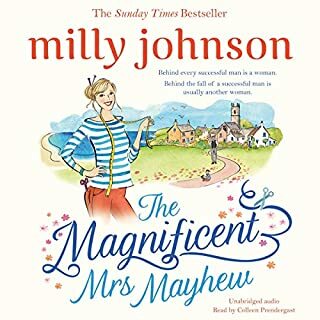 I always feel sad when I finish a Milly Johnson book! This lady is seriously talented, an amazing storyteller, has fantastic storylines that makes you laugh, cry and capture your heart. Whenever I listen to one of her audiobooks or read one of her books, I’m a bit crabby when I have to do other things, for I miss reading/listening to her story. Milly Johnson is the best in her category, utterly captivating!! Love, love, LOVE Milly Johnson! Great narration, love the accents and voices! The voice artist has a huge talent! Wonderful, amazing, fantastic book that had me hooked from the start! Love, love, LOVE Milly Johnson!! Genius author, outstandingly captivating storyteller! Milly Johnson is the queen of chick flicks! I love all of her books but this is my new favourite! Such a well-written, unique storyline, I’ve cried and laughed and adored every second of it! Colleen Prendergast is amazing and does the accents and voices so well, I love listening to her! A fantastic audiobook that I thoroughly enjoyed and would highly recommend!